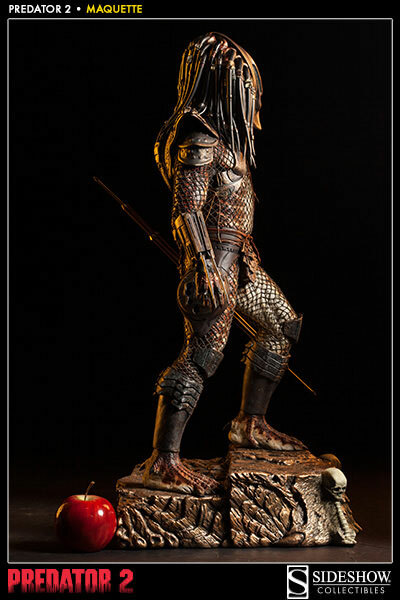 "Hunting season opens again... "
Joining Sideshow's tremendously popular line of Predator film collectibles is the Predator 2 Maquette, commemorating the return of the dreaded hunter in the 1990 sequel of the same name. 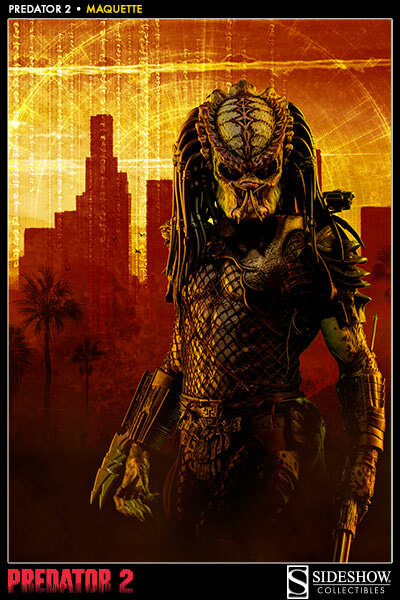 In town with a few days to kill, the 'City Hunter' has chosen a new location to stalk his prey amidst the sweltering concrete jungle of Los Angeles. 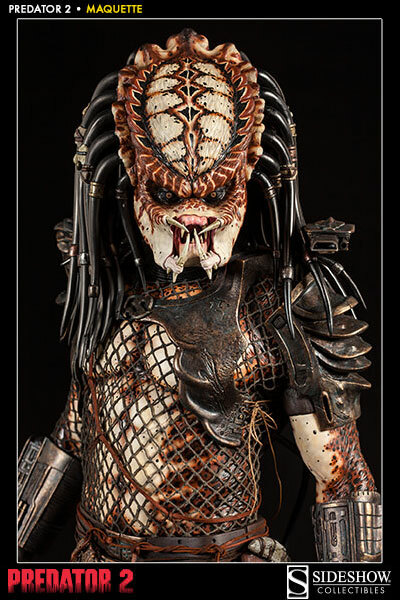 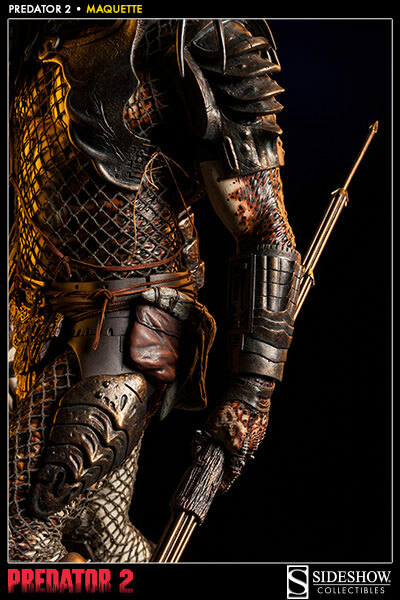 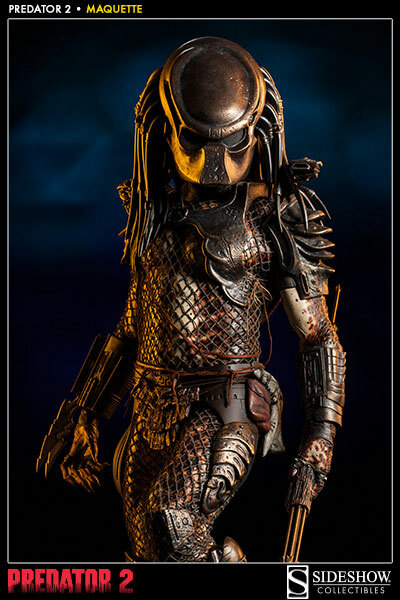 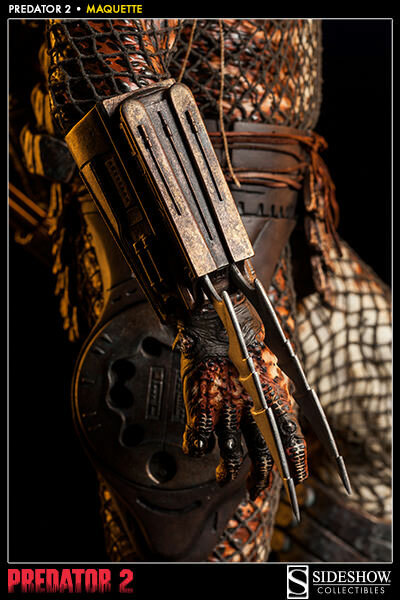 The sequel film introduced fans to a more colorful Predator for the urban setting, and Sideshow's artisans have faithfully hand-painted the vibrant complex skin patterns of the ruthless hunter with unrivaled authenticity. 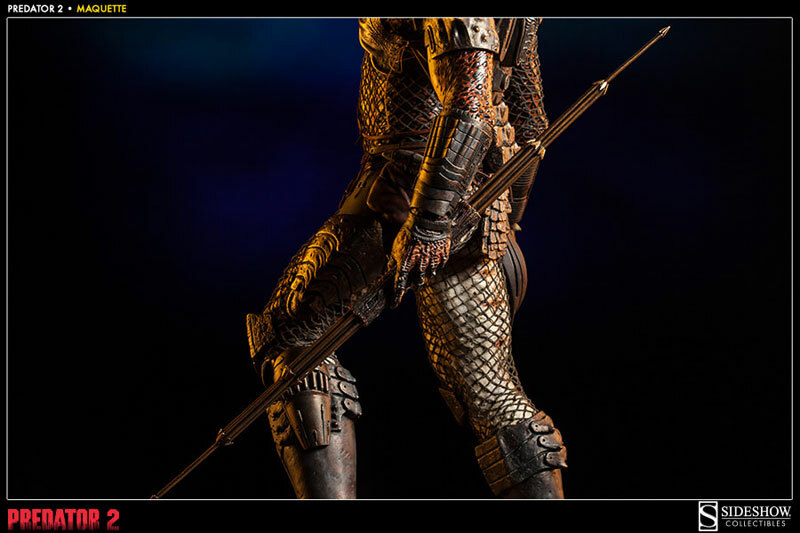 Fitted with tribal garb and gear comprised of gladiator-like armor, fabric netted body suit, and backpack with medi-kit, the vicious warrior wields his sophisticated yet brutal weapons of choice, including leg cartridge net launcher, razor sharp wrist gauntlets and customary plasma cannon. 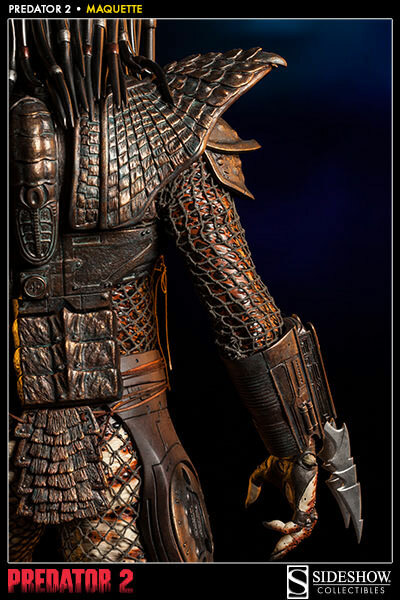 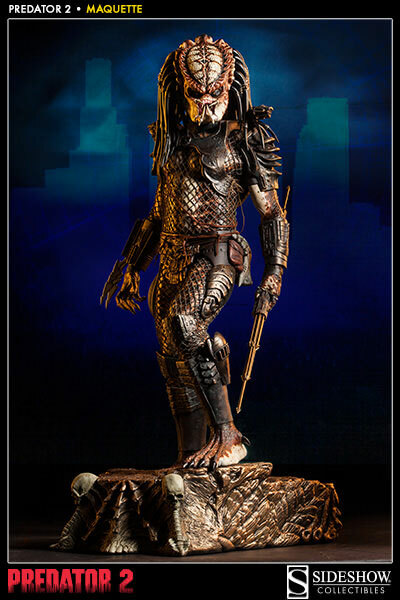 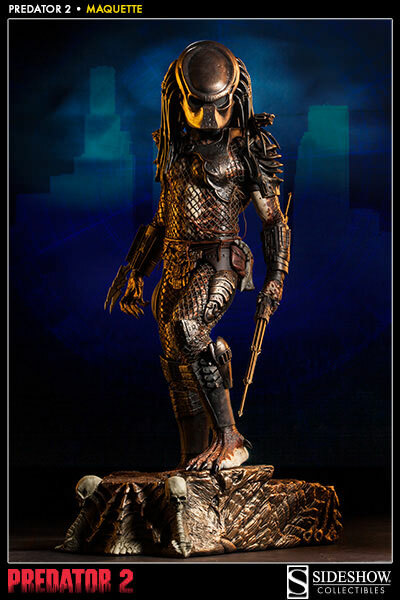 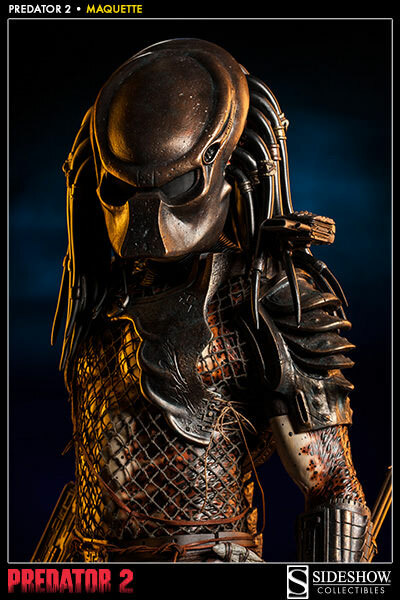 Standing over 28 inches tall, in roughly 1:4 scale, the Predator 2 Maquette captures every aspect of the cinema icon in a truly unique and customizable display, featuring interchangeable masked and unmasked portraits, and a swap out accessory hand with combi-stick spear. 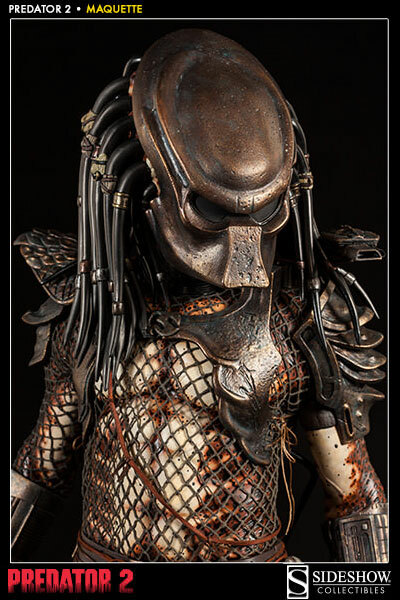 Masks are to be worn by PREDATORS, not people.